Gears, tools and emergency supplies or parts are essential in a vehicle that has to respond rapidly to emergencies or service calls. However, these things can also be hard to sort in the cargo area of your SUV, truck or van. An SUV cargo drawer is one of the best options for skilled trades and service based businesses that respond to service calls, including construction and contracting, repair services, mechanics and technicians and much more. 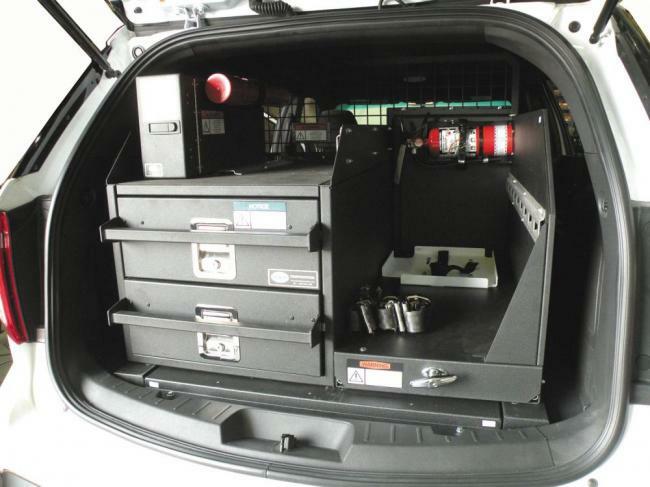 Efficient - A well-organized vehicle and drawer system can save a technician a lot of time on the field. Strong - An SUV cargo drawer system has an amazing capacity of hundreds of pounds for the total system, with each part capable of handling about 150 pounds of parts and fittings. Lightweight - the common material used is a thin aluminum which is very light yet durable. Quiet - an SUV cargo drawer is usually engineered to prevent vibrations or rattles, giving the drivers a distraction-free ride. Secure - highly valuable and hard to replace tools or gear can be locked safely in sturdy drawer compartments where they are safely locked and protected. Ergonomic - easy access to the most used items minimizes back injuries or strain caused by reaching, twisting, or climbing inside the vehicle. As the industry’s leader in manufacturing custom made SUV cargo drawer systems for service vehicles, D&R Truck-Stor is the top choice for many customers. Whether you need a single unit or a customized system for your work vehicle, we will work closely with you to give you the best storage solution available. We use high-grade and lightweight aluminum fabrication that ensures a quiet ride, higher payload capacity and optimal preservation of tools or parts. Contact D&R Truck Stor today to ask any questions or to request a consultation with an expert.